I use this Coptis Purge Fire by Health Concerns to heal a cold or throat soreness. I took Coptis Purge Fire by Health Concerns for the pain assiated with Shingles! It helps take off the edge of the unbelievable pain. Coptis Purge Fire by Health Concerns was given to me by a nutritionist/MD instead of antibiotics to treat my sore throat. It really works and I continue to use Coptis Purge Fire with great results! Traditional Chinese herbal medicine has been recognized as having some of the most powerful and effective remedies for health problems. One of the most potent formulas is Coptis Purge Fire‚ which is considered to be a modified version of Long Dan Xie Gan Tang. 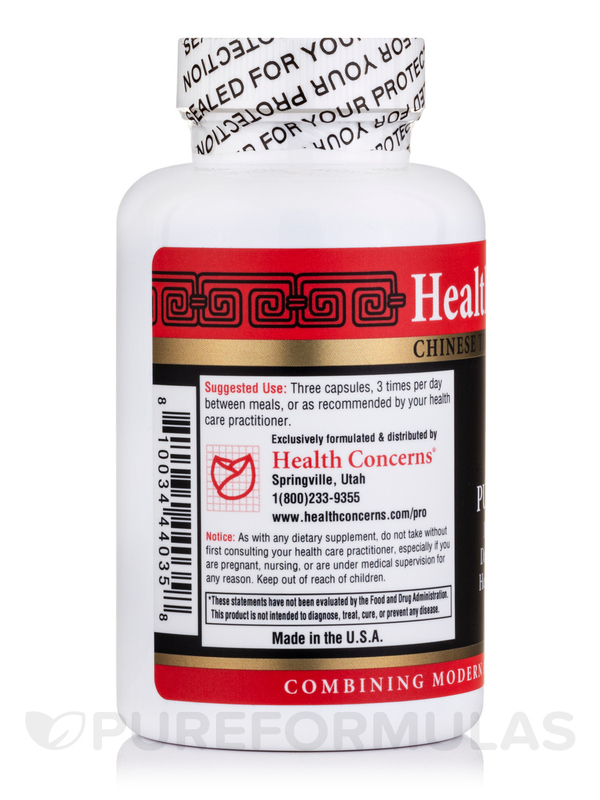 Health Concerns’ Coptis Purge Fire 90 tablets take the traditional formula and refine it to provide you with potent help treating skin eruptions‚ localized inflammations‚ and liver infections. It’s effective in the relief of hot flashes‚ which become increasingly common in women immediately before‚ during‚ and after menopause. It offers treatment for a varied array of conditions that includes liver fire (inflammation)‚ migraine headaches‚ red eyes‚ and mouth ulcers. Coptis Purge Fire also treats conditions that result in chronic skin eruptions‚ such as eczema‚ in addition to a flushed appearance of the face. Finally‚ it serves as a powerful remedy for sore throat‚ eye and ear infections‚ herpes simplex outbreaks‚ urinary tract infections (UTIs)‚ and more. 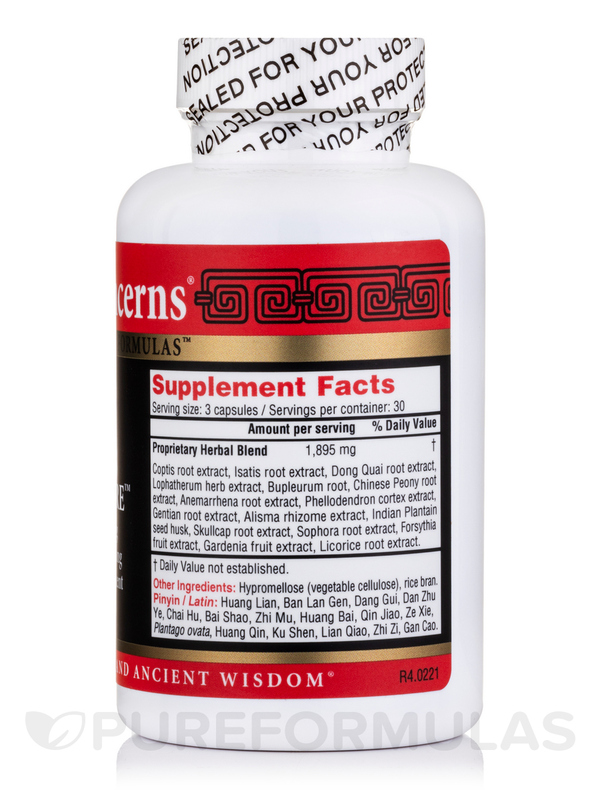 These formulas—along with ingredients like forsythia (lian qiao)‚ lophatherum (dan zhu ye)‚ phellodendron (huang bai)‚ anemarrhena (zhi mu)‚ gardenia (zhi zi) and sophora (ku shen)—have been proven to have strong antibacterial and even antiviral benefits. Tang kuei (dang gui) effectively invigorates the blood‚ while also alleviating pain. Plantago seed (che qian zi) and alisma (ze xie) both work to facilitate your body's removal of toxins. Coptis Purge Fire Tabs by Health Concerns also contains sophora (ku shen) and akebia (mu tong)‚ both of which function to dissipate heat and dry dampness. 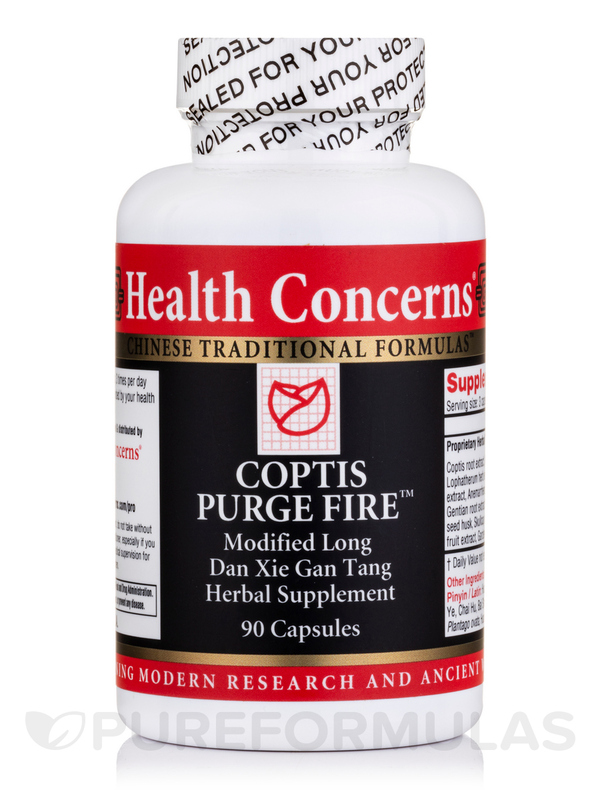 Coptis Purge Fire by Health Concerns is an excellent product. I initially purchased this at the recommendation of my Chiropractor for pain relief due to poison ivy. She also told me that it works very well for sore throats and it does! Coptis Purge Fire has been a life saver for me. I was not sleeping at night but since My Dr. started me on Coptis Purge Fire the hot flashes are gone and it seems to help with other things as well. This has been good for inflammation as well as hot flashes. Great for inflammation of any kind. Ive been treated for joint pain fevers and fatigue for over 10 years with no success - unspecified auto-immune disorder was the diagnosis. Coptis Purge Fire has totally alleviated the joint pain the fevers are gone and no more exhaustion. Ive been taking these for over a year and intend to take them for the rest of my life. I also noticed that my allergies are better managed - I only need the Claritin-D when the pollen is at its worst - and not year round. At anytime we begin to show symptoms of a cold or anything else we take Coptis Purge Fire by Health Concerns and it really seems to help turn things around. My chiropractor is the one that first recommended Coptis Purge Fire and we have been using it ever since. My acupunturist brought Coptis Purge Fire by Health Concerns to my attention. Ive been having severe hives since April 2011 and western meds were making them worse! It took 3 weeks to process in my system but Im almost hive and pain free. Also has cleared up my skin and hotflashes. Highly recommend it. It helps with the pain. I like that it is all natural! I wish it would have taken all the pain away from Shingles! Ive been using Coptis Purge Fire by Health Concerns for years to treat sinus infections. It works almost as fast as antibiotics and doesnt kill your your immune system. Now I use it regularly during allergy season and whenever I begin to experience sinus inflammation and congestion. It helps prevent sinus infections if I start taking it as soon as I notice the early symptoms of a sinus infection. It helps alleviate sinus congestion/inflammation and helps prevent sinus infection. Since its an herbal remedy it takes awhile to notice the affects because it has to build up in your system. You have to take 3 tablets 3 times/day. I'm almost to the bottom of my first bottle of Coptis Purge Fire by Health Concerns and I can see the fungus spots on my elbows drying up. It has also made known to me other spots on my skin that had fungus that I wasn't even aware of. This replaces so many things in my medicine cabinet thank you. Can this be taken with an antiviral. Also what is the recommended dosage?